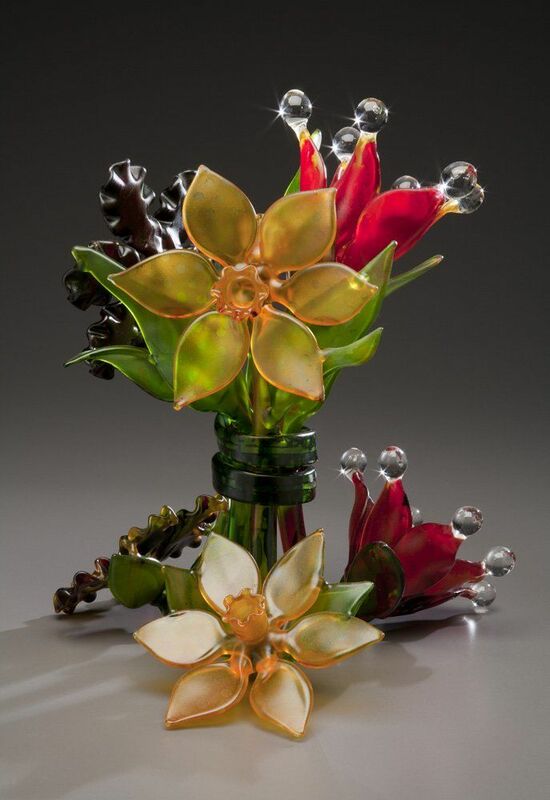 17" x 18" x 19"
17" x 12.75" x 14"
13" x 12" x 21"
Ginny Ruffner received a M.F.A.  degree from the University of Georgia. 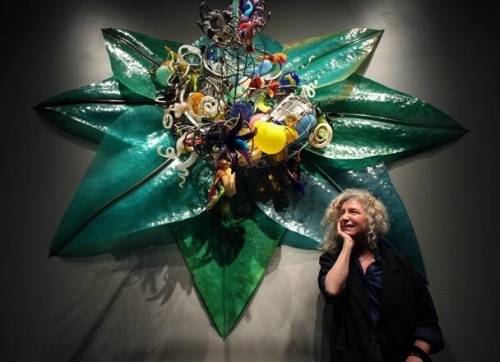 Her flameworked and mixed-media sculpture and installations can be found in many major private and public collections, including 39 museums. 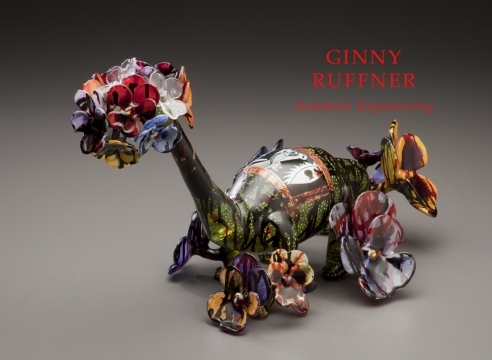 The film titled 'A Not So Still Life: The Ginny Ruffner Story' premiered at the Seattle International Film Festival in June 2010, winning Best Documentary. 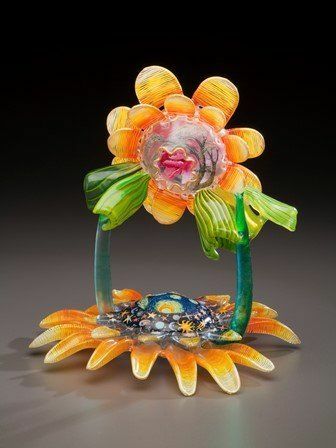 Ruffner has received many awards, including the Libenskỳ Award, Pilchuck Glass School; Honorary Lifetime Achievement Award, Glass Art Society; Visual Artist Fellowship, National Endowment for the Arts. 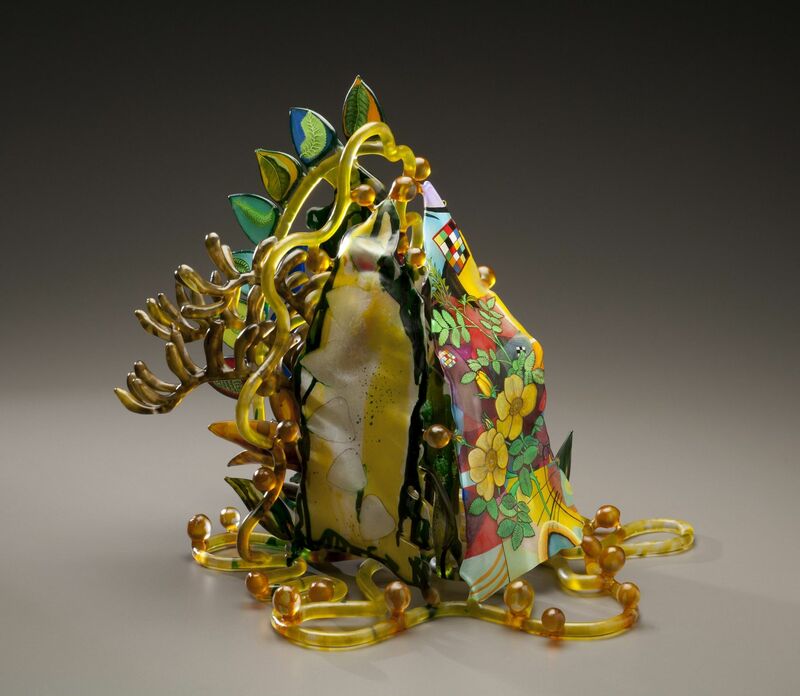 Although Ruffner’s art is rooted in large-scale flame-worked glass sculpture, it incorporates paint, metal and other materials to tell a story. Ruffner’s goal is to create accessible art that moves the viewer beyond the initial beauty of the glass and into the world of a living piece of art.